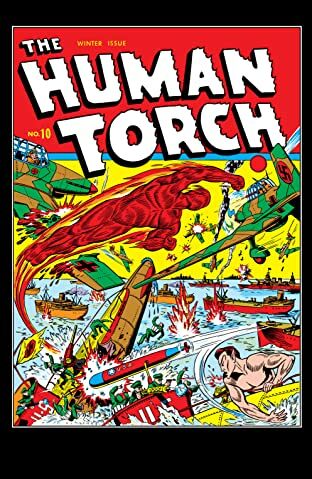 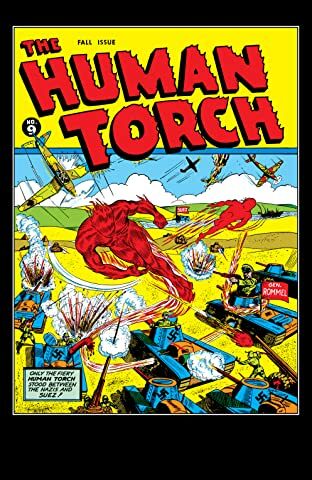 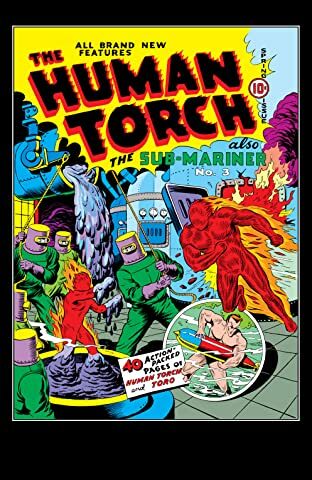 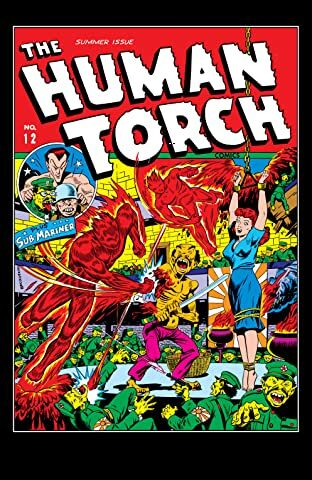 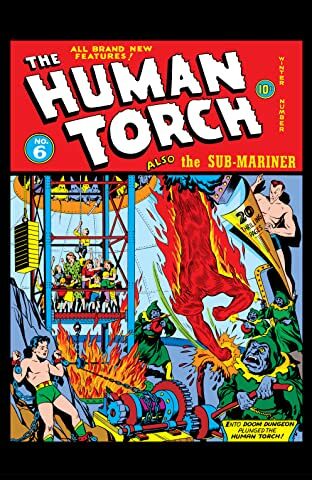 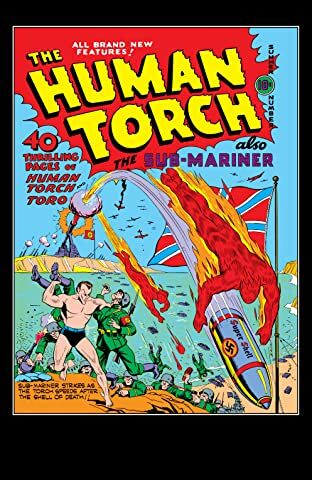 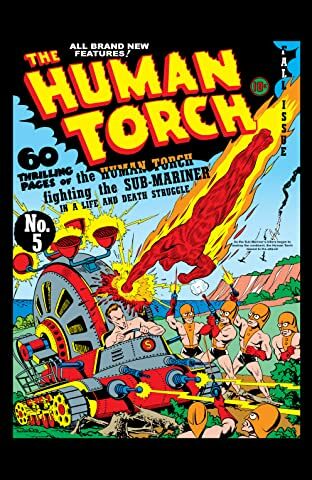 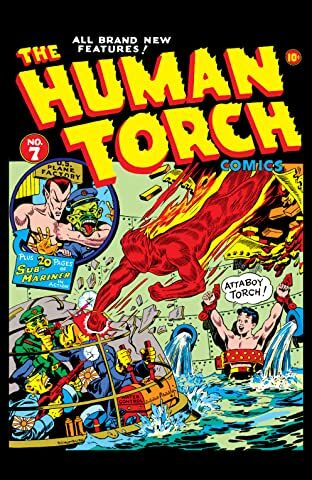 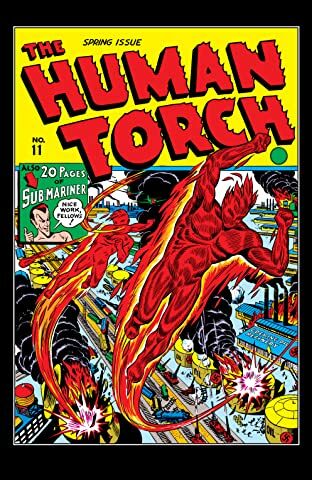 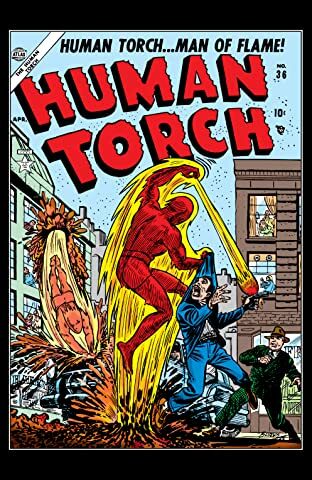 Collects Human Torch (1940) #2-5A. 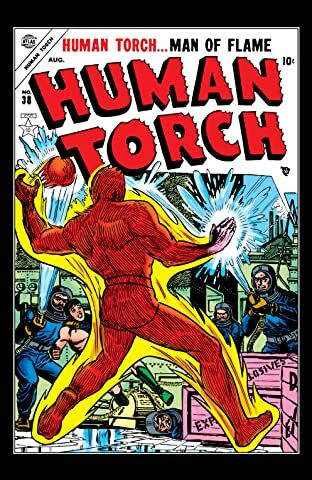 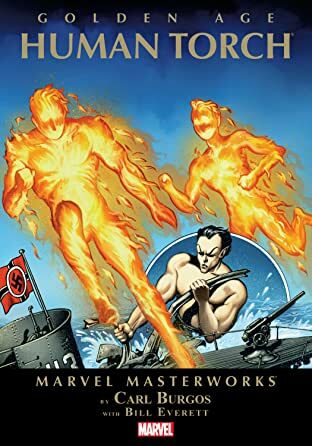 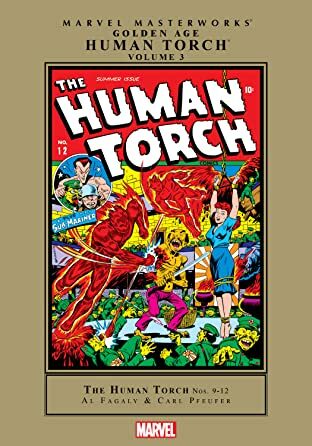 The Marvel Masterworks proudly present the debut of the Human Torch, that fiery chart-topper of the Golden Age, in his own comic series! 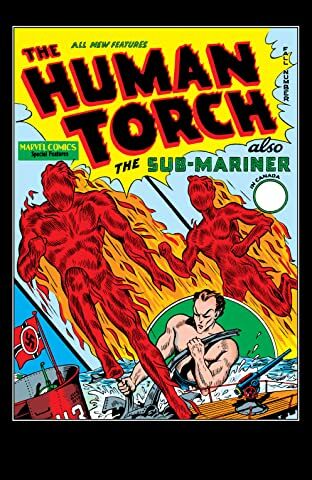 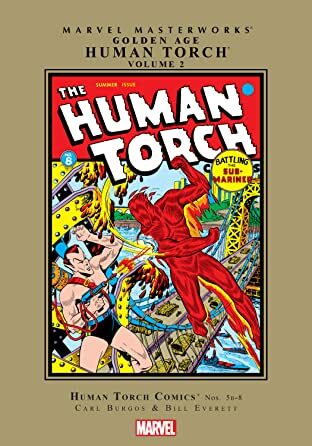 Leaping from the pages of MARVEL MYSTERY COMICS, the Torch was hotter than hotcakes in 1940. 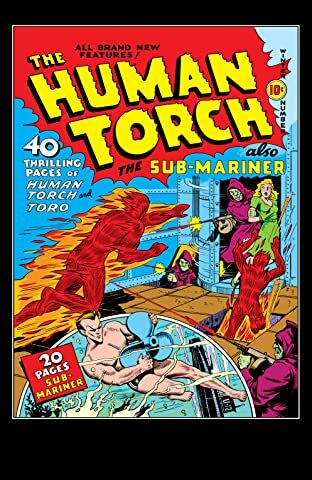 And now you can experience his series from the very beginning, which just so happens to be issue #2! 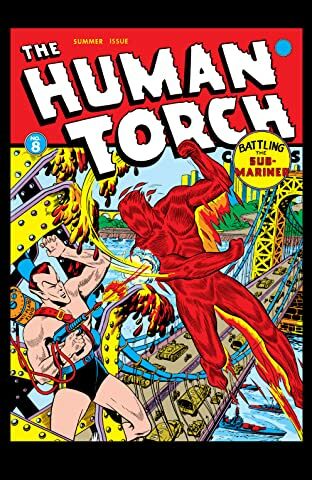 Starting off with the first appearance of Torch's kid sidekick, Toro the Flaming Kid, Carl Burgos and company present page after page of action and adventure in incomparable 64-page, jam-packed issues. 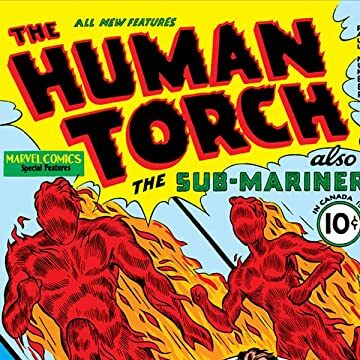 See the Torch and Toro fight side by-side with Bill Everett's Sub-Mariner as he once again terrorizes New York City! 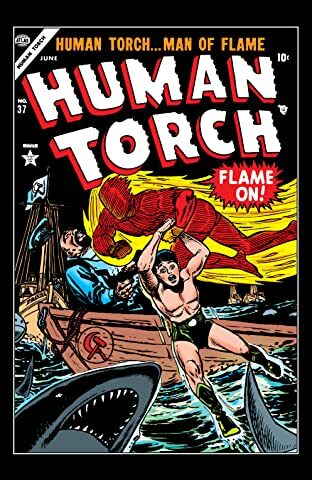 Also featuring the adventures of Microman, Mantor the Magician, the Fiery Mask and the Patriot!